Because of this, these companies have earned a reputation for terrible customer experiences unique to the industry. “When you want to have cable installed, you have to take a half a day off of work, and you have to hope the cable guy shows up," Hyken said. He noted that if Apple, or one of the companies that make up this year’s Customer Service Hall of Fame were in the cable business, customer service would improve. Hyken added that many cable companies have worked to reduce the customer service problem in particular, but bad service practices are common enough that the stigma is still there. Customer dissatisfaction among these service providers may be about to get even worse. Four of the companies on this year's list are either in talks or are actively in the process of merging, which could conceivably exacerbate the problems caused by lack of competition. Verizon has bought AOL, and DirecTV and AT&T also have a pending merger. If this year’s survey is any indication, customers of these companies will likely not see much of an improvement in their experience. Another industry that tends to perform very poorly in this poll is the banking and financial services sector. Bank of America and Wells Fargo both made the Hall of Shame this year, while JP Morgan Chase just missed the list. Residual acrimony from the financial crisis may partly explain these companies' poor rank, as many Americans blame the financial companies' excesses and carelessness for the crisis. Hyken, on the other hand, argued that these poor scores may have more to do with government regulation imposed on the banks. “There are a lot of rules and compliance the banks have to exhibit in order to stay in business, and unfortunately, those aren't always customer-friendly rules.” Hyken added that banks could go through the process of explaining why regulations force them to interact with clients in certain ways, but he noted it would be very difficult. 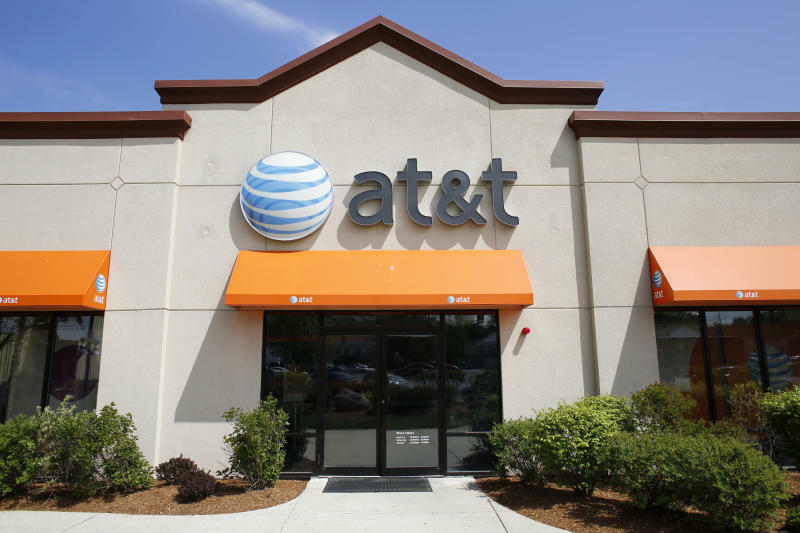 Making the list for the third consecutive year, AT&T is yet another cellular service provider with waning customer satisfaction. Nearly 19% of customers surveyed rated their experience with the company as poor, a slight jump from last year’s figure of 17.5%. This is bad news for the over 120 million consumers who choose AT&T. Along with deceitful sales practices, AT&T does not appear to provide the same level of coverage as other cellular service providers. According to testing by Rootmetrics, AT&T fell behind Verizon, its chief competitor, in five out of six measures of network speed and reliability. An inferior product is bound to have a negative impact on overall customer experience. Since 2010, Dish Network only missed making the Hall of Shame once, in 2011. The company fared particularly poorly this year. As many as 46.1% of respondents had a negative experience with Dish’s customer service, the fourth worst of any company considered. Nearly across the board, cable and satellite service providers received abysmal ratings for their customer satisfaction, and Dish network is no different. Perhaps one reason for the company's poor customer service is employee dissatisfaction. According to Glassdoor.com, current and former Dish employees rated the company 2.6 out of 5, one of the worst ratings of any major company. Dish has reportedly been considering a merger with T-Mobile. Given that the wireless service provider is also a regular on the Customer Service Hall of Shame, it seems dubious that Dish will make it off this list any time soon. Bank of America has paid in more ways than one for its role in the financial crisis. And while the economy has largely recovered, the same likely cannot be said for Bank of America’s reputation. Ranked third on the Hall of Shame list, 21.4% of survey respondents rated their experience with the company as poor. In the same survey, 38.9% of respondents, the largest share by a wide margin, said that fees were their biggest problem with the bank, either because the fees were too high, or occurred to frequently. Bank of America is no different. The bank’s website lists five fees for checking accounts and another five for savings accounts. Thirteen other service fees include a $2.50 charge for using another bank’s ATM and a $35 overdraft penalty. Disapproval of the bank's customer service dropped nearly 3.5 percentage points from last year. Additionally, 2015 is the first year in the last five that Bank of America has not topped off the Hall of Shame list. No stranger to the Hall of Shame list, DirectTV’s reputation took a further hit in 2015. With 21.5% of respondents reporting a poor experience with the company, dissatisfaction has grown by more than a full percentage point from the previous year. Nearly 44% of survey respondents cited high rates as a reason for their disapproval of cable TV providers. Critics argue that cable companies can get away with charging high rates due to a lack of competition. Without alternative companies to choose from, consumers are forced to pay more for premium channels and service that does not improve year to year. As if the company did not already have a reputation problem, AT&T is poised to acquire the cable TV provider for $48.5 billion this year. The deal would effectively combine two of the five companies with the lowest customer satisfaction. Comcast had the worst customer service reviews of any company this year by a wide margin. At 28.3%, more respondents ranked their experience with the company as poor than any other company. Furthermore, 54.4% of those surveyed claimed that their overall customer experience was negative, nearly 10 percentage points higher than the next worst rated company. This is Comcast’s seventh consecutive year on the Hall of Shame, and its first year at the top. Lack of regional competition for many cable TV providers is likely a primary reason for their low customer service ratings across the industry. Without alternatives to choose from, customers are forced to pay high rates for service that does not improve. This problem was nearly exacerbated earlier this year when Comcast attempted to merge with the nation’s next biggest cable TV provider, Time Warner Cable. However, the Justice Department and the Federal Communications Commission effectively killed the merger on antitrust concerns. In the face of its poor customer service reputation, Comcast may be attempting to turn things around. Catering to consumer trends, Comcast announced earlier this month the launch of its own cable streaming service called Stream. Stream will compete with companies such as Netflix and Hulu and allow Comcast customers to stream television shows on their TVs and mobile devices. 24/7 Wall St. commissioned Zogby Analytics to conduct an online national survey in which more than 1,500 randomly chosen respondents rated customer service at 151 of the best-known companies in the country. Fifteen industries are represented in the study. Respondents were asked to evaluate customer service quality as “excellent,” “good,” “fair,” or “poor.” Of the 150 companies, 108 companies had at least 500 valid responses. Companies with fewer valid responses were not considered. When a company with multiple divisions scored as one of the best or worst for customer satisfaction, the company was only listed once in our rank. The 10 companies with the highest percentage of “poor” responses represent our Customer Service Hall of Shame. Using the same methodology, the 10 with the highest percentage of “excellent” responses became our Customer Service Hall of Fame. This is the second year 24/7 Wall St. has conducted this study.